The Sawgrass Expressway in Broward County, Florida, will be the site of overnight lane closures this week. All northbound lanes of the Sawgrass Expressway, a toll road in Broward County, Florida, will be closing between the I-75 interchange and Sunrise Boulevard, near the BB&T Center. The lane closures will affect only the northbound traffic, and those closures will only be during the overnight hours, between 11:45 PM and 4 AM. The lane closures will be in effect through Thursday, April 11. The Florida Department of Transportation and Florida’s Turnpike Enterprise are installing new sign support systems on those lanes, and that will require all traffic to be diverted to 136th Avenue. Traffic exiting from I-595 westbound or I-75 southbound and going north on the Sawgrass Expy. will be directed north to Sunrise Boulevard, using 136th. 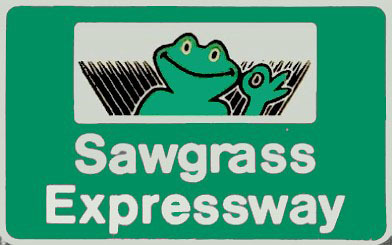 From Sunrise Boulevard, travelers will then be able to return to the Sawgrass Expressway and continue north to the towns of Tamarac, Coral Springs and Pompano Beach, at the north/east end of the Sawgrass Expressway, which connects with Florida’s Turnpike mainline.